Using ChaosKey in a bare metal environment is really easy; you just plug it in and your kernel entropy pool is chock full and ready to go. 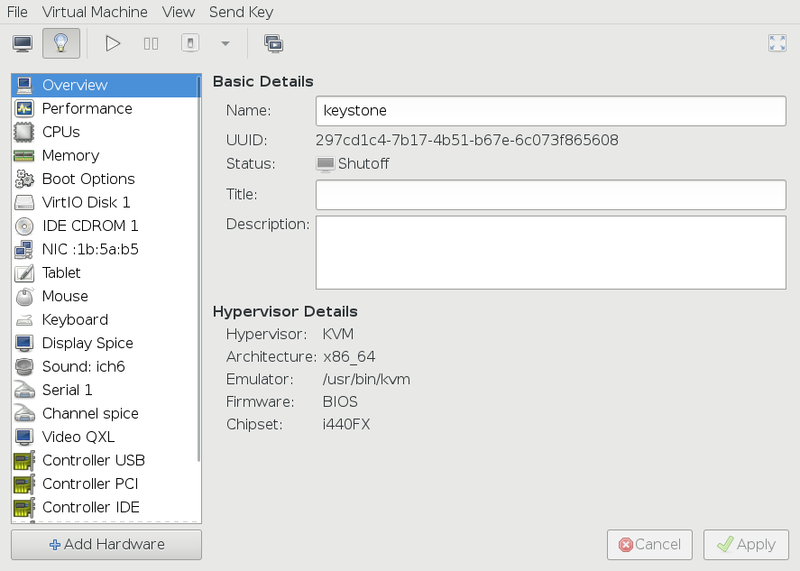 Sharing random data with guests running on the same machine is pretty straight forward as well as kvm and qemu have a pass-through device, virtio-rng, which can pull data from the host entropy pool and use that in the guest. First, you'll need to configure qemu to provide a virtual device inside the guest. 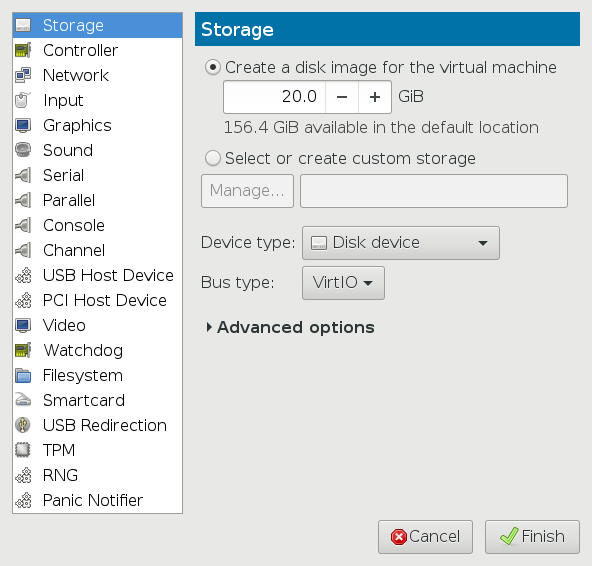 Virt-manager provides a graphical interface to managing virtual machines. Click on Finish and you're all done. If you're using a distribution kernel in the guest, it should already have the virtio-rng device built and available. 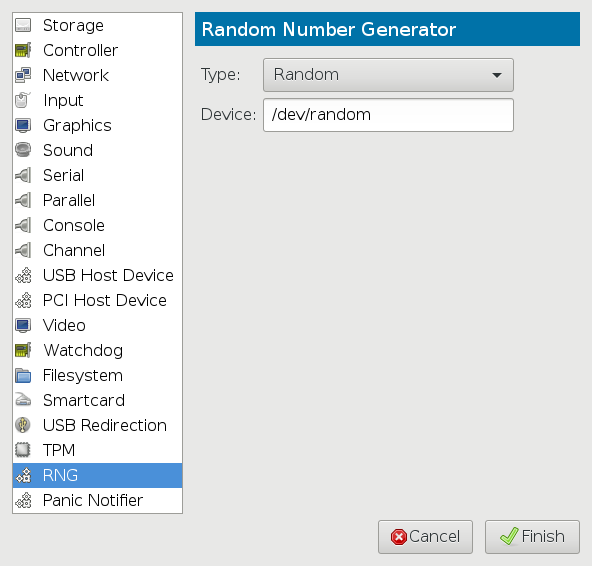 Once you have the device available in the virtual machine, boot the guest and check to make sure the virtio_rng module has been loaded. For guests running kernel version 3.17 or later, that's all you need to do -- the kernel will automatically create a thread to read data as needed from the host's random pool. For guests running kernel version 3.16 or older, the kernel doesn't create a thread to read data from the host, so you need to run the rngd daemon. On Debian, that's a simple matter of installing the rng-tools package. Other distributions presumably have a package that does something similar.